YES We do volume lashes!! Licensed by the Massachusetts Board of Cosmetology through Catherine Hinds. volume lashes. Using a lighter weight lash. .05- .07 weight in bouquets gives the effect of fuller lashes. 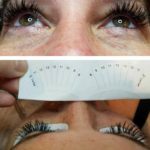 Lash extensions before, during and after! 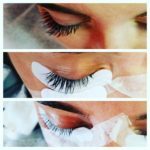 This entry was posted in Reviews and Compliments and tagged Best Lash Extensions, False Lashes, Find lash studios in my area, lash bar, lash extensions, lash extensions in my area, Lash extensions Stoneham area, Lash studios, Melrose, Stoneham SPA, volume lashes, Wakefield area.